It's no secret that people love to gamble. So it should come as no surprise to learn that online casinos started to spring up not long after the internet was invented. The first casinos were unregulated, poorly designed and came equiped with only the most basic games. But over the past twenty five years they've evolved into fully fledged digital casinos, with some even offering virtual reality games that seat you right at the table in front of a real life dealer. On this site we cover everything you need to know about playing casino games on the internet both for fun and for real money. We'll show you what you can play and where as well as providing hints and tips to get the most out of your gaming. But first, let's address the elephant in the room... is it legal? The short answer is yes, provided you're in the UK and playing at a UK licensed casino. As a UK based site the information give below is specific to the United Kingdom. If you're located elsewhere please be aware that the legality in your country may differ. This is a very important question. After all, no one wants to get in trouble for playing a few hands of blackjack on the internet. In the early days, online casinos were very much like the wild west and whilst early casinos weren't illegal they weren't regulated either. Fast forward a couple of decades and the legal landscape in the UK is made up of a complex array of regulatory bodies and commissions, set up to protect players, stop money laundering and to ensure that the casinos pay their fair share of tax. 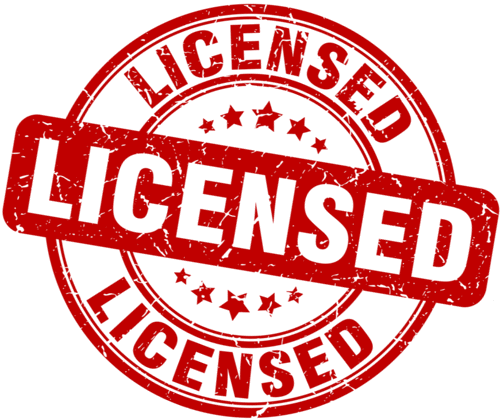 The Casino is Licensed in the UK - All real money casinos that accept players from the UK need to be licensed with the UK gambling commission. You can check if a casino holds a license on the UKCG website. Casinos are also required to list their license number on their website. You are over 18 - Gambling is a form of adult entertaniment and you must be 18 or older to participate. The only except to this is the National Lottery which is 16, although there are calls to increase this in line with other forms of gambling. Note: You may need to provide proof of your identity when playing for money laundering purposes - a process known as KYC or 'know your customer'. It’s likely that pretty much anyone who enjoys a bet will have been into a casino at some point. From the moment you enter the (usually) lavish venue, you can feel the sense of excitement, with noise emerging from every corner and people engaged in a to-and-fro battle with the croupiers and electronic machines. How can online casinos possibly hope to compete with that environment, in which money seems to seep out of the walls? The answer to that comes in the form of being able to offer punters pretty much any game that has ever existed, from card games through to variations of roulette via slot machines and different types of bingo. There’s also the chance to play against real live croupiers thanks to the development of live video gaming. Online casinos are still fundamentally different to real-world casinos, of course, but whether or not you think that’s a good or a bad thing will be dictated by your personal preference. After all, there’s no chance of having to talk politely to strangers or avoid drunken louts at an online casino, which may well make them an appealing alternative. One downside is that online casinos lack the variation that you might find in the real world. 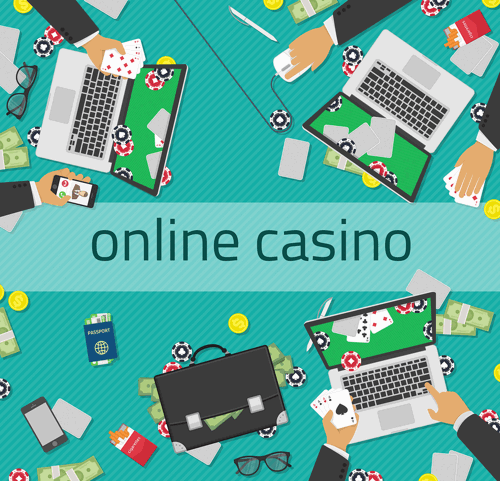 Rather than having a choice of numerous different types of casinos, online players often find that the cyber-alternatives are the brainchild of the same software company but have a different ‘skin’ on them in order to make them unique to the company behind them. Even then, though, once you start playing the games you’ll notice that they look and feel the same. Those that are used to seeing physical actions take place in front of them might naturally mistrust computerised games, feeling as though the machine operating them could be ‘rigged’ or somehow set up to work against them. As long as in the UK you make sure that you’re betting with companies that have Gambling Commission licences, though, that simply can’t happen. They use Random Number Generator systems to ensure that games are as fair as possible and the best ones will tell you how often people win on them, so you’ll know which games are more likely to pay out than others. In other words, bet with a reliable company and your money will be safe. That doesn’t mean that you’ll win all of the time, of course; online casinos are just as liable to the vagaries of fortune as real life ones, after all. Here we’ll have a look at how they’ve developed over the years and the current state of play. The very first casino that launched online was called Gaming Club and did so in 1994. It was powered by a then-little known software company called Microgaming, which went on to take the industry by storm. It proved to be a moment that would revolutionise the world of online gambling, with Cryptologic launching the following year and soon-to-be powerhouses like Playtech and NetEnt coming hot on its heels. It wasn’t until 1996 that an online casino launched in the United Kingdom when InterCasino, powered by WagerLogic began accepting customers. That was a subsidiary of Cryptologic and it carried just eighteen different casino games for players to get involved with. Back then, of course, the world of online betting was something of a Wild West, with no specific legislation of which to speak. Indeed, gambling in general in the United Kingdom was governed by the Betting and Gambling Act of 1960, as well as the Gambling Act that was passed eight years later, until the UK Gambling Act came into being in 2005. That was also the year that the Gambling Commission was formed, with the specific intention of establishing some sort of control over the world of online gaming amongst other things. The establishment of an organisation that was able to add some structure to a previously chaotic industry could have been seen as something that might have limited the world of online gambling but instead it allowed it to flourish. Previously players were unsure of where they stood in terms of the reliability of the sites that sprung up left, right and centre. The formation of the UKGC meant that rules and regulations were put in place to ensure that money was guaranteed, which in turn increased the customer base and weeded out the less reliable websites. As a result, the amount of money being spent with online casinos and other gambling companies went up year-on-year as more and more custmers began to trust the burgeoning technology. 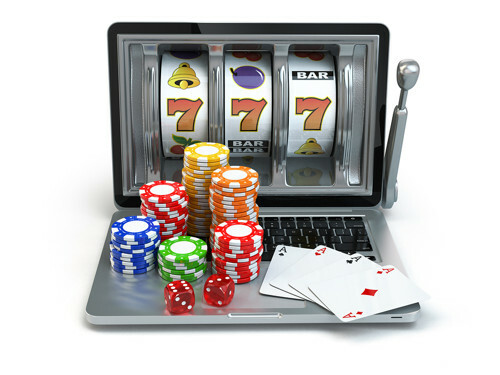 By 2017 the UK online gambling industry had grown to the point that it was worth £4.5 billion. The landscape has moved and altered in numerous different ways, not just in terms of the legislation in place to regulate them. In terms of that legislation, though, it too has had to develop. When the Gambling Commission was first created there was a loophole in the rules that meant that companies could avoid paying taxes by basin themselves abroad. As a result, changes were introduced to ensure that that wasn’t the case and that any company that wanted to offer its gambling services to a UK audience needed to have a remote operating licence in order to do so. The UKGC also takes jurisdiction in any disputes between customers and the companies that supply them with services, meaning that it’s far more difficult for disreputable companies to form and take advantage of those looking to place bets online. In the end, of course, everyone knows that the house always wins and players accept that that’s part of the challenge of taking on the casinos, whether it be online or their bricks and mortar alternatives. Online casinos have had to roll with the punches in order to maintain a customer base, being one of the first industries to realise that the internet could be a goldmine for business. Ensuring that customers had a top-class experience when gambling online became key to allowing companies to grow, with those that didn’t prioritise that side of things soon struggling. When the online poker site PKR went into administration in 2017, customers of the company cited the the lack of a slick experience at the front end as a big part of the reason why. LeoVegas, meanwhile, set themselves up with the specific aim of becoming the number one mobile gambling company and became a major player in the industry when they achieved just that. How things will develop in the future remains to be seen, if for no other reason than the potential impact of Brexit. What we can tell you is that online casinos are braced for a change to the ways in which they’re allowed to operate in terms of stake sizes and caps to the amount of money that players can wager. The government’s decision to cap the stakes placed on Fixed Odds Betting Terminals to £2 hit the industry hard and has given operators pause for thought in terms of whether or not their online casinos might also have similar caps put in place on them before too long. The fact that FOBTs have been referred to in the past as ‘the crack cocaine of betting’ means that they were always likely to be dealt with much harsher than online casinos, but it’s still something that will be interesting to watch the development of in the future. How Will Brexit Affect Online Casinos In The UK? One of the main ways in which Britain leaving the European Union is likely to change the world of online gambling, if it does indeed happen, is regarding the manner in which workers for the biggest companies will be able to actually go about their business. One of the largest off-shore locations for online casinos is Gibraltar, with around a quarter of the country’s GDP coming from the industry. More than three thousand people are employed by the likes of 32Red, Bet365 and William Hill, with a solid majority of those workers living in Spain and commuting across the border to work on a daily basis into the British territory. If the EU choose to close the border between the two countries then that will make life very difficult indeed and the companies that operate their will almost certainly have to move back to the UK. A move back to the UK isn’t just complicated in terms of the logistics of finding somewhere to operate. Most of the employees living in Spain are unlikely to want to relocate their entire lives, so a new workforce will have to be found. That, in turn, brings its own complications when it comes to how much people are paid, how much tax is paid and benefits that need to be put in place for those workers, all of which costs money. Might it be more worthwhile for operators to simply stop offering their services to the UK rather than deal with all of that? Obviously the relative strength of the pound is something that companies will need to bear in mind when it comes to where and how to operate in the event of the UK leaving the European Union, but that’s as nothing compared to the terms on which the country departs the biggest collaboration of nations in the history of the continent. If the United Kingdom leaves the EU with no deal then it’s likely that many industries will be forced to fall back on World Trade Organisation rules and regulations. The big issue for online casinos and other operators is that the rules offered by the WTO do not allow for gambling operators to get market-access to the European Union. That would mean that British-based businesses would be excluded from bidding for any possible new business within the EU, amongst other things. Obviously nobody knows what will happen in the event that the UK does indeed leave the European Union, but such instability is not something that tends to lead to a thriving business environment in any industry. Whether it be just in the short-term or not, the UK’s economy will almost certainly take a hit, which will have an effect on online casinos just like any other business. Regulation would change, taxation rules would be altered and the available market of players would shrink considerably. 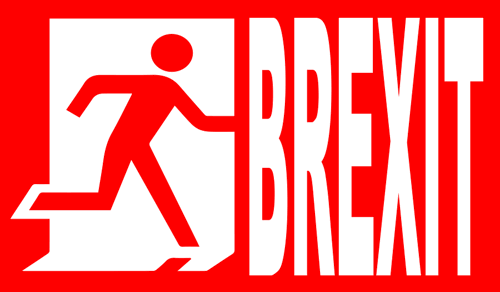 Only time will tell how much Brexit will affect the gambling industry, with the complexities involved in the result of the country’s narrow vote in favour of leaving numerous and far-reaching, but the job losses alone are likely to change the lives of many people in the immediate. 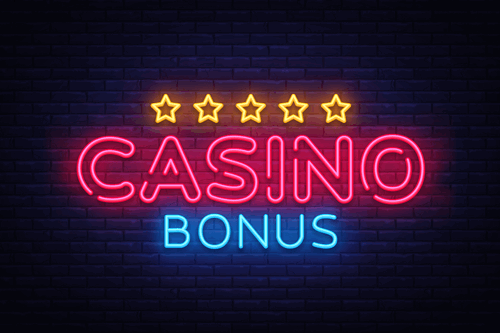 One of the ways in which online casinos encourage punters to use their services over those of their competitors is in the form of bonus offers. Normally these involve things such as £100 in bonuses if you deposit £100 or 50 free spins on a slot machine when you make your first deposit into a new account. In order to take advantage of these offers customers have to meet certain requirements, such as the need to roll their deposit and the bonus over a certain number of times before they are allowed to withdraw any winnings. That would mean that you would need to stake the equivalent of the wagering requirement multiplied by the bonus (or sometimes deposit + bonus) before being able to take any money out of your account. In recent times the UK Gambling Commission and the Advertising Standards Authority have started to crack down on the language being used by online casinos to ensure that the system is fairer for punters. For example, companies can no longer refer to ‘Free Spins’ if they are not actually free, which is to say that if you need to place a deposit in order to be able to get spins then you’ve spent money and they’re therefore not ‘free’ as such. Instead these must now be called something like ‘Extra Spins’, ‘Casino Spins’, ‘Bonus Spins’ or the likes. The idea is to make things clearer for players and safer for everyone involved. There is to be increased clarity all round, avoiding the possibility of people getting confused about what they’re being offered by the companies that they sign up with. The result, predictably enough, is that online casinos are now being more careful than before when it comes to the language that they put on their offers. You’ll notice that references to welcome bonuses offering ‘Free Spins’ will say something like ‘winning from spins in real cash’, whilst other offers will inform you every clearly what they entail. For example, one site we looked at with a £100 welcome bonus said clearly underneath the offer ‘Bonus wins are capped at £500, to withdraw bonus & related wins, wager 30 x (bonus amount) within 90 days’. That is what you will start to see more and more of in the coming months and years as online casino companies ensure that they’re complying with the new rules and regulations introduced by the UKGC. One of the chief things that online casinos have had to get used to in recent times is the manner in which the Advertising Standards Authority has begun clamping down on adverts that appeal to children. It’s worth noting that though it says ‘adverts’, the ASA and the Committee of Advertising Practice are actually referring to any freely accessible space that children could find their way onto in an online environment, which is why companies are being restricted in what they can put on their own sites. Games that are likely to appeal to anyone under the age of eighteen, perhaps because of bright colours or the use of cartoon characters, are likely to come under scrutiny from the ASA. As a result, online casinos are having to either remove such content in its entirety or else move it to somewhere within the site that children can’t get access to it freely. That’s why you can still play games that feature cartoon characters or themes with fairytale references or the like, but you’ll only be able to access them once you’ve logged into your account. Any ‘Play-For-Free’ games that might appeal to children or content on social media that could be appealing to a younger audience will be clamped down on by the ASA, leading to issues for the company responsible. It’s not just content that might be appealing to children that the Advertising Standards Authority is responsible for monitoring, of course. The gambling industry has been asked to take a particularly strong interest in ensuring that adverts and promotions do not appeal to consumers that are at risk of being problem gamblers in recent times. Companies are now asked to ensure that there is no sense of urgency in the offers they put forward, nor that gambling is trivialised in any manner. They’re also asked to ensure that the winning of money is not put forward as a primary motive for players and that the idea of things being ‘Risk Free’ is not promoted. There has also been a move to stop companies from making fun of mental health issues, such as when an online gambling company produced an advert telling consumers to ‘save themselves’ in front of a silhouette of a man hanging from a rope by his neck. The UK boasts the world’s largest regulated online gambling market, with a gross gambling yield of around £4.7 billion every year. It’s entirely fair to say, therefore, that it’s in rude health at present. Indeed, the Gambling Commission report into the matter stated that it was expected that the online industry would increase its share of the market from around 34% to closer to 50% in the following few years. That information is in stark contrast to other parts of the gambling industry. The government’s decision to introduce a £2 stake limit to Fixed Odds Betting Terminals, as mentioned before, hit the sector hard and left many bookmakers concerned about their future. The limit in stake size might not seem very important, but a huge amount of the money made by bricks and mortar bookmaker shops is because of the machines, meaning that many fear the reduction in stake will shops having to close around the country as they fail to meet their overheads. The move to betting online might be helping the businesses that are based in the electronic world but it’s coming at a cost to those that are exclusively in the real one. 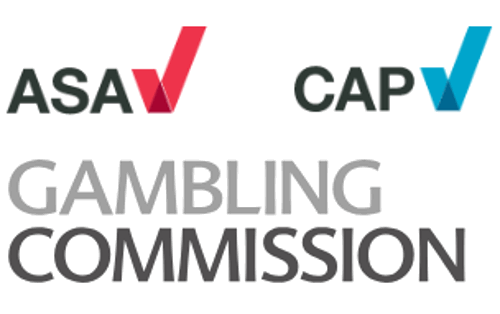 One such example comes in the form of GVC’s offer to buy Ladbrokes Coral, the final price for which is dictated by the result of the government’s limiting of the FOBT stakes. That said, it’s not as though anyone should be feeling overly sorry for or concerned about the gambling industry. According to statistical analysis firm Statista, the gambling industry is worth about £14 billion.